This is a wooden single-storey tea house that reflects the stillness of nature, the beautiful Japanese aesthetics of sukiya-style architecture. and melts seamlessly into the flat landscape of buildings, gardens' and ocean scattered over the Amanoshashidate landscape.Your heart will be appeased by the perfectly level and tranquil view seen from the windows. Cherishing the spirit of the tea ceremony, we will provide you with a once-in-a-lifetime experience. From beyond the green gardens, the calm Asokai Sea and the pine woods of one of Japan's three scenic views, Amanohashidate, stretch beautifully far off into the horizon. Dawn and dusk brings new character to the view, which changes with each season, displaying the beauty of Japan's natural landscapes. 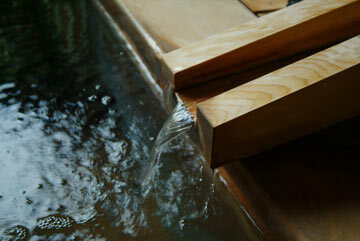 A world away from the hustle and bustle of everyday life... A place where adult relaxation can be found. *We are sorry to inform our customers that we can only accommodate children over the age of 12. We apologize for the inconvenience. 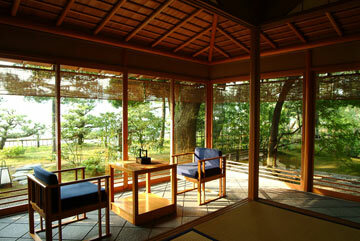 Here you can indulge in local dishes and alcohol, and enjoy the hot springs and traditional atmosphere of Japan. We hope you enjoy your stay. A second unknown Kyoto awaits 2 hours north of Kyoto City. 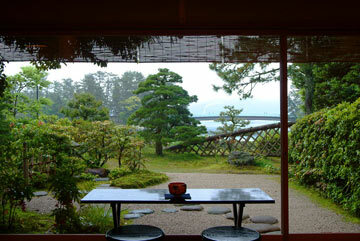 The Kyoto of the sea; Amanohashidate. In this lush, green land, you can experience culture that has crossed over the sea from the continent and caused this area to prosper quicker than any other in ancient Japan. In other words, this is the place where Japanese culture was born. Here you can experience a Japan that you have never experienced before. And Amanohashidate spans right over the middle of it. Possessing a mysterious natural beauty, legend says that this natural bridge was formed when a ladder made by the god that created Japan and connected it to the heavens collapsed. 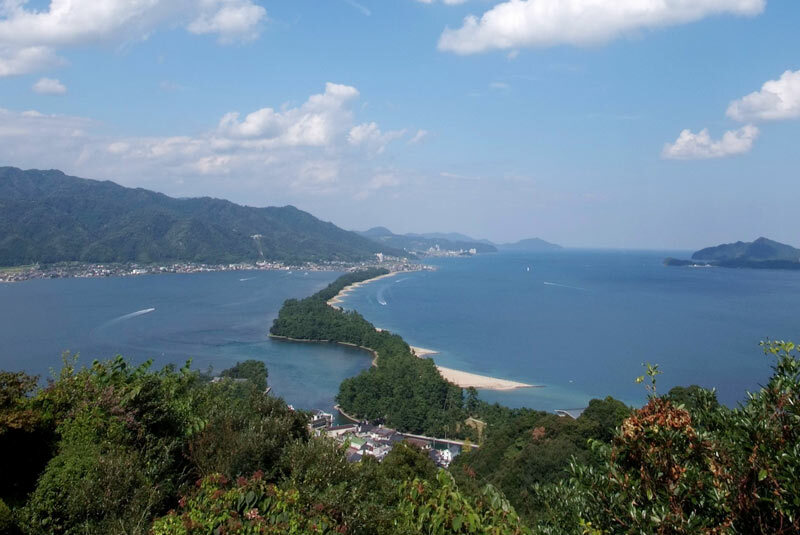 It also forms one of Japan's three scenic views along with Miyagi Prefecture's Matsushima, and Hiroshima Prefecture's Miyajima. Amanohashidate, which connected Japan to the heavens, has been revered as a sacred place since ancient times by the locals and is now visited by people from all over Japan. The area close to Amanohashidate Station is also home to, and offers convenient access to, a number of other sightseeing spots including historical temples and Buddhist shrines such as Chion-ji Temple, Motoise Konojinja Shrine, Nariaji Temple, and Amanohashidate Shrine. This is in addition to famous beauty spots such as Amanohashidate Viewland and Kasamatsu Park that may be reached by lift or cable car, and offer fantastic views over Amanohashidate, one of Japan's three scenic spots. During the summer visitors may also enjoy swimming in the ocean close to Amanohashidate. We also recommend visitors to stretch their legs a little farther afield to the Ine Funaya houses, a true rarity.